The population of Birmingham is now estimated to be in excess of 1.1 million, while the metropolitan area has almost 4 million residents and is one of the largest in Europe. England’s second city can therefore be identified as a property hotspot, with redevelopment of the city centre leading to a good supply of flats and apartments. My Home Move Conveyancing offer a specialist, fixed fee conveyancing service that can help you get the most out of the market in Birmingham and the midlands, thanks to our expertise that dates back to 2002. It’s essential that you instruct a lawyer to carry out the legal work on your behalf when buying or selling property in Birmingham. 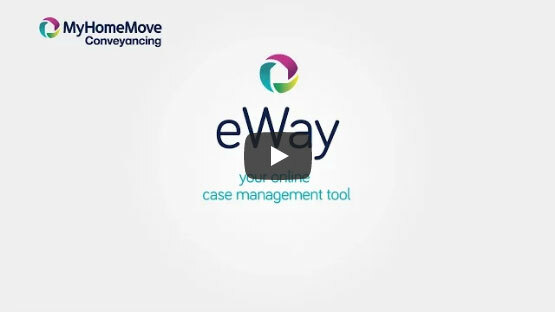 By choosing My Home Move Conveyancing you’ll receive the benefits of our award winning customer service, innovative use of technology and knowledge of the local market. Our conveyancing service comes for a fixed fee, and as there are no hidden extras to worry about, you’ll know exactly how much you’ll be paying right from the start. Additionally, if you don’t end up moving, you won’t need to pay us a penny in legal fees. Each of our clients have a dedicated conveyancer assigned to them, who will look after your case from start to finish, and we are open seven days a week. My Home Move Conveyancing is proud to provide legal assistance to homebuyers across Birmingham in areas such as the leafy city centre suburb of Edgbaston and highly-rated Moseley in southeast Birmingham. The average house price in Birmingham is £121,672. During the last year the majority of sales in the area were terraced properties for an average of £139,385, while flats went for an average of £120,358 and semi-detached properties for £170,393. Properties in the city centre sold for an average of £157,799, which is slightly lower than the overall average of £162,369. Birmingham is a thriving city in the West Midlands that is the most populous in the UK outside of London. The city can point to its importance in the Industrial Revolution as the key to its international prominence, and now holds a status as a beta world city. The central location of Birmingham in the country is a major draw, and as such the city can boast excellent transport links. It is served by the M5, M6, M40 and M42 motorways, while the M1 is also found close by. Birmingham’s airport is the UK’s third busiest outside London, and Birmingham New Street is the busiest railway station in the UK outside London. Families with children have a huge choice of schools in the area, with over 300 primary and around 80 secondary schools. King Edward’s School is one of the city’s oldest and most prestigious boys’ schools, and can boast the likes of JRR Tolkien among its former pupils. Birmingham Blue Coat School and the other schools of the King Edward VI Foundation’s seven offerings, including King Edward VI High School for Girls, rate among the other notable options. All properties in Birmingham will fall within one of the following council tax bands.